Audio Speed Changer Pro allows you to speed up audio files without changing the pitch. It is primarily intended for accelerating audio books as well as podcasts, but can be surely used with any other sound track or file. Batch processing feature and convenient user interface make Audio Speed Changer Pro a valuable tool for book listeners and authors who want to save time. Handles the MP3, OGG, WAV and AAC/MP4/M4A/M4B file formats as input. The program can work in a batch mode. You can specify different tempo changing, pitch shifting and playback rate multiplier for separate files in the list. Previewing of changes before final conversion. Supports configurable output to the MP3, OGG and AAC/MP4 file formats — converted audio will be available for speed listening on your personal computer, Smartphone, iPod and any portable MP3 player. An ability to normalize volume level of all output files. The software can be integrated into the Windows Explorer shell for quick access to its major functions. The portable version of Audio Speed Changer Pro is available. [+] Added full support for the Windows Media Audio (WMA) file format as input. [+] From now on, the overall conversion progress is displayed on the Windows 7/8 task bar. [+] Tested against the Ubuntu GNU/Linux Desktop 12.04 AMD64 + Wine 1.4 final — no issues or flaws spotted. [!] Upgraded the used list control. [!] Improved handling of WMA- and AAC-encoded audio files on Windows Vista and 7. [!] Confirmed compatibility with the Windows 8 Release Preview. [!] Upgraded the utilized audio libraries. [!] A couple of internal fixes. Designed to scan the user’s complete computer system to detect spyware parasites and quarantine the infected files for immediate protection, XoftSpySE is your fast, dependable anti-spyware defense. If your computer is connected to the Internet, it is very hard to avoid spyware and its ”cousins.” Whether they are infuriating you with annoying pop-ups, trying to install more parasites or collecting your private information, spyware, adware, trojans, keyloggers and their ilk can do you and your PC harm. 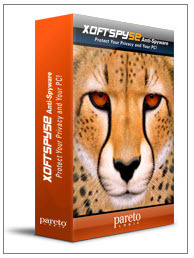 XoftSpySE Anti-Spyware scans your computer to find and remove these threats. Please use the links below to learn more about this product. 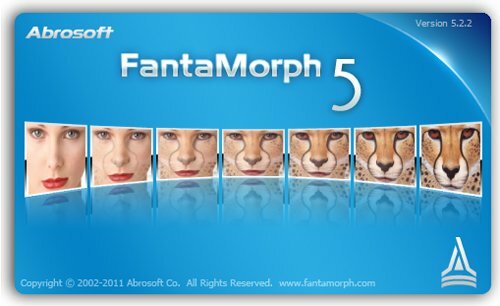 With Abrosoft FantaMorph, creating fantastic image morphs and warp movies has never been easier and faster! You can do everything a professional animation director does to create amazing images and animations. FantaMorph supports most image formats including BMP, JPEG, TIFF, PNG, GIF, TGA, PCX, and even professional 32-bit with alpha formats. Exporting to Image Sequence, AVI, Animated GIF, Flash, Screen Saver, Standalone EXE and other formats are supported. You can crop, rotate, flip, adjust color, add caption or some cool effects for the source images and the final movie, all with FantaMorph’s built-in tools, without having to go to any additional software. Driver Reviver is an industry leading PC Driver Update utility that will help you update your computer drivers in just a few clicks. Driver Reviver uses one of the largest and most comprehensive Driver and Software libraries available, ensuring that it will always find the most recent drivers for you device or hardware. Try Driver Reviver TODAY and find out how many of your drivers are out of date. • Driver Reviver ensures all your hardware devices and software applications are performing at peak performance levels. Missing out on the latest driver releases means your PC and hardware devices are being cheated from bug fixes, performance improvements, and potential new features from the manufacturer. • Saves you time. It will require numerous hours to track down each and every driver for every single piece of hardware connected to your PC. Driver Reviver accomplishes this in minutes. • Saves you money. There are driver sites that provide drivers on a ‘cost per download’ basis. Your system will likely require hundreds of updates in its lifetime, so this option is expensive. 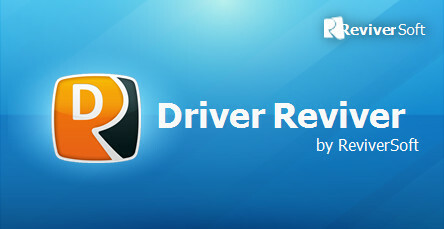 In contrast, the number of drivers you can download using Driver Reviver is limitless during the subscription period. • Prevents you from incorrectly using the wrong driver. Drivers are hardware-dependent and operating-system-specific. This means that drivers (1) must be compatible to your PC’s operating system, and (2) be suited to your hardware’s brand and model. Driver Reviver automatically works on this basis so you’re assured that driver update recommendations are specific to your system and hardware. • No need to be tech-savvy. It takes a bit of PC knowledge to scan for drivers, download them, and install them properly. Driver Reviver does all this for you. • Finds the right driver straight from the manufacturer directly. There is no need to hunt for the original installation CD or wasting time trawling the web. • Completely reduces your risk of downloading a faulty driver or even spyware. The wrong driver or malware could render your PC inoperable and potentially put you at risk of identity theft. • Driver Reviver protects you from mistakes. Restore point setting ensures that if there are any problems with an update, the changes can be easily reversed to get you back up and running in no time. • Huge database connected directly to the original manufacturer. Driver Reviver has over 10,000,000 drivers and applications from 56,000 hardware and software vendors. • New intuitive and simple to use interface makes Driver Reviver user friendly and easy to use. Driver Reviver has been developed with the novice user in mind while providing the backend structure and functionality expected by the most advanced user. • Light footprint ensures your computer’s performance won’t be affected while you use Driver Reviver. The last thing you want to do when running an application is for it to bog down your system and lose performance. Driver Reviver is all about helping improve your PC’s performance and has been developed with this in mind. • 24/7 technical support. Support for Driver reviver is available from within the product and via email. Turn around time for a support request is less than 2 hours. • Driver Reviver is RISK FREE. If you are not completely satisfied, Driver Reviver comes with a no questions asked 30-day money back guarantee. • Windows 7 compatible. Many driver updaters are not yet Windows 7 compatible. With the big push for Microsoft on this launch, and with most new PC’s coming with Windows 7, the need to be able to update software and drivers for existing peripherals for Windows 7 is extremely important. Desktop Icon Toy is an easy to use desktop icon enhancement tool, which allows you to make many funny but useful patterns out of your windows desktop icons. You can change and restore their layout with just a couple of quick mouse clicks. Are you tired of a boring desktop? Would you like to give it more pizazz, and brighten you day? With this cool simple tool you can even organize and arrange all your desktop icons into simple rows to the right, along the top or place them anywhere your mind chooses? Desktop Icon Toy can save desktop icon layout for different screen2 resolutions, and it will automatically repostion and restore the proper layout when the screen2 resolution has been changed. 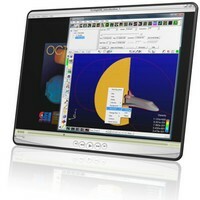 EnSight – FEA and CFD post-processing visualization Extreme Visualization. Are you seeing all you should see in your engineering and scientific postprocessing? If not, then EnSight is the tool for you. With the largest set of features of any visualization/post-processing tool in existence, EnSight lets you see what you’ve been unable to display and document in the past. An icon-based user interface allows you to learn the program quickly and to move easily into layers of increased functionality. Plus, EnSight works on all major computing platforms and supports interfaces to most major CAE programs and data formats. CEI offers several forms of EnSight; these include EnSight Lite, Standard, Gold and DR (distributed rendering) and are described more on each product page. Runs standalone or distributed using client-server operation on Windows, Apple, Linux, SGI, SUN, IBM, and HP. Reads multiple data sets and enables you to run comparisons between them. The data can originate from different solvers and/or different disciplines. Runs in parallel on up to 2 processors on shared memory computer systems. Post-processes data remotely with client-server operation. Pet Eye Fix Guide is a straight-forward application that can help you correct any color of shining eyes from your pet’s photos. Can be used for human red eye also. Allows you to adjust even fully light-struck eyes. 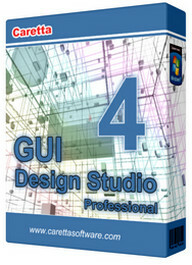 GUI Design Studio is a graphical user interface design tool for Microsoft Windows that you can use to rapidly create demonstration prototypes without any coding or scripting. Draw individual screens, windows and components using standard elements, connect them together to storyboard operational workflow then run the simulator to test your designs. GUI Design Studio can be used whenever you need to draw what an application should look like or show how its parts connect and flow together. SmartWhois is a useful network information utility that allows you to look up all the available information about an IP address, hostname or domain, including country, state or province, city, name of the network provider, administrator and technical support contact information. It helps you find answers to these important questions: Who is the owner of the domain? When was the domain registered and what is the owner’s contact information? Who is the owner of the IP address block? * Smart operation: The program always looks up whois data in the right database; you don’t have to waste your time trying them all. * Integration with Microsoft Internet Explorer and Microsoft Outlook. Look up domain owners and IP addresses in e-mail headers instantly! * Saving results into an archive: you can build your own database that can be viewed offline. * Batch processing of IP addresses or domain lists. * Caching of obtained results. * Hostname resolution and DNS caching. * Integration with CommView Network Monitor: Can be accessed from CommView for quick, easy lookup. * Calling SmartWhois directly from your application. See SmartWhois FAQ. * Whois console for custom queries. * Everyone who uses standard Whois utilities: SmartWhois saves a lot of time and does things standard Whois utilities can’t do. * People who hate spam or want to identify the origin of suspicious e-mail messages: check the message header and locate the real sender! 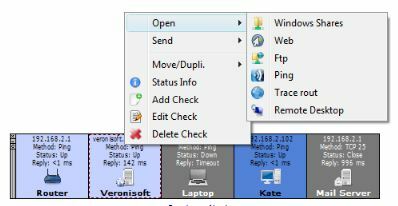 You can also send e-mail to the network administrator with a mouse click. * Webmasters who want to study the logs more carefully and are unable to identify many IP addresses. * Online vendors who want to learn exactly where an order comes from. * People who want to identify the origin of suspicious e-mail messages by studying the headers.